For more than 80 years, Stradling’s Cabinets & Remodeling has provided Phoenix homeowners with stunning bathroom cabinet custom cabinetry and millwork. 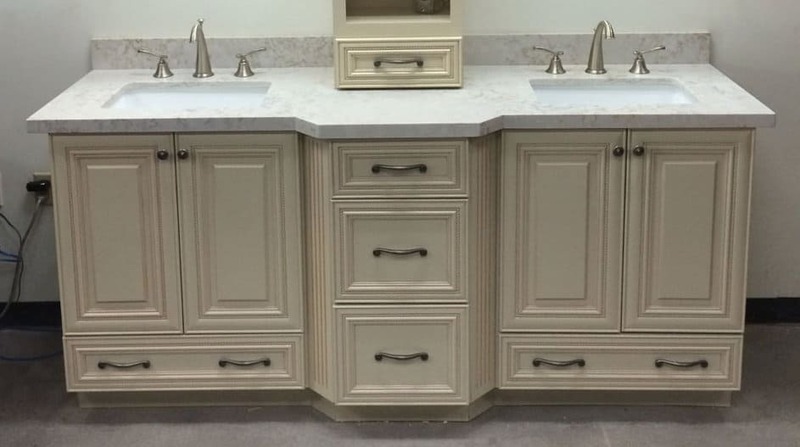 Whether your goal is completely remodeling your bathroom or simply giving it a facelift with new cabinets, Stradlings has the experience and expertise necessary to transform your bathroom into the beautiful space you always dreamed of. 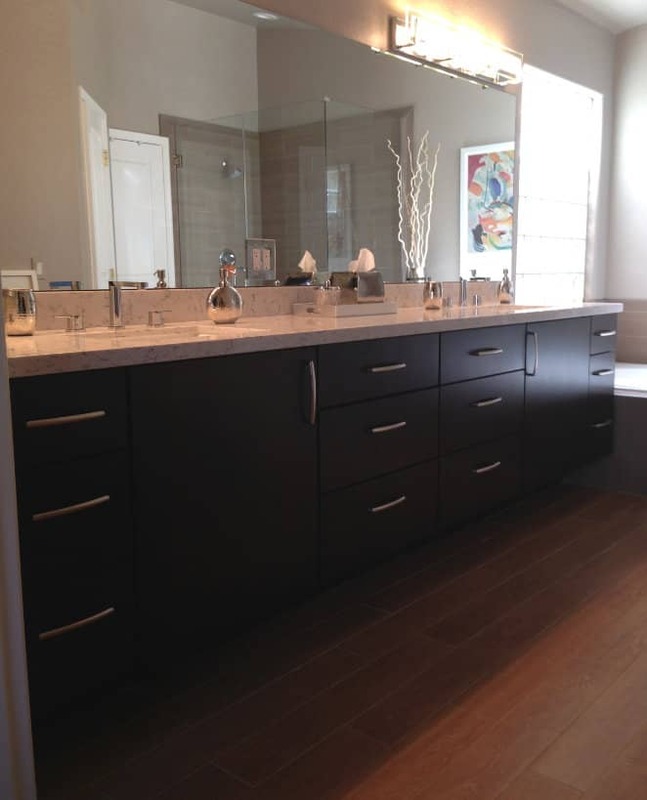 Whether your goal is transforming your master bath, guest bath, or powder room – or all three! 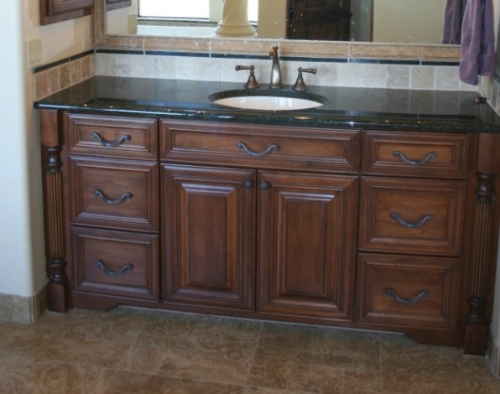 – Stradlings’ beautiful custom bathroom cabinets give you the look you want. Our custom lines include hundreds of styles, doors, and colors. With so many options, you may feel overwhelmed. Don’t worry! Our design team works with you every step of the way to help you get the exact look you want for your bathroom. 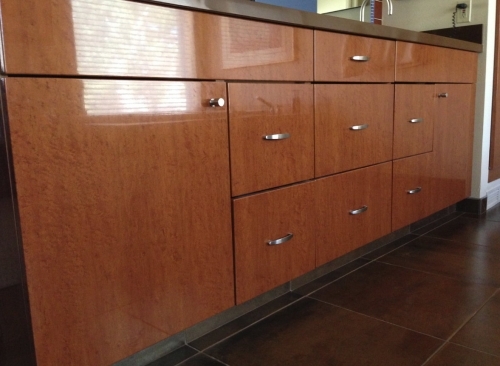 From ornate elegance to minimalist designs, we have the right cabinets for your décor. Let Our Team of Professional Designers Help! With our professional design team, you get the perfect bathroom cabinet style and finishings for your bathroom décor – and for your budget. 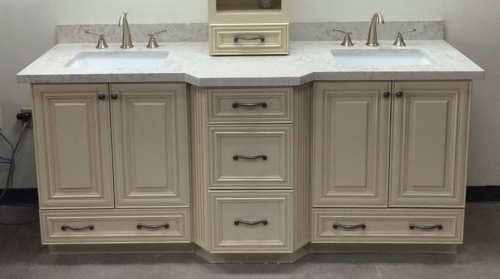 At Stradlings, our goal is creating custom cabinetry that marries functionality with stunning aesthetics. We don’t believe anyone should have to choose between style and function. We also collaborate with interior designers if you’ve hired someone to renovate your bathroom. Or, let us manage your remodeling project! 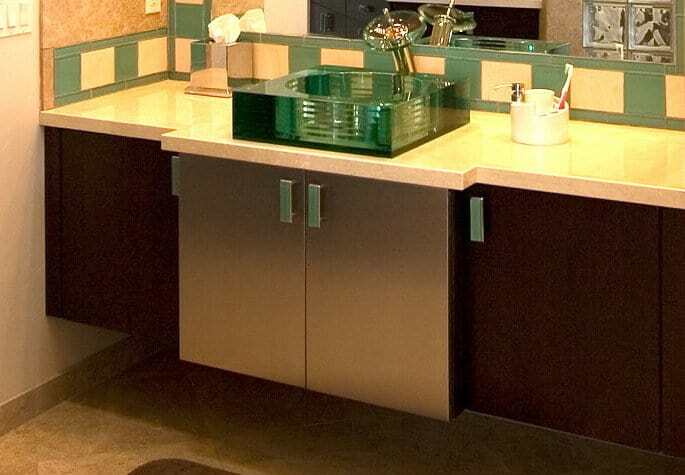 After providing the valley with custom cabinets for eight decades, we have an extensive network of subcontractors we work with on remodeling projects. 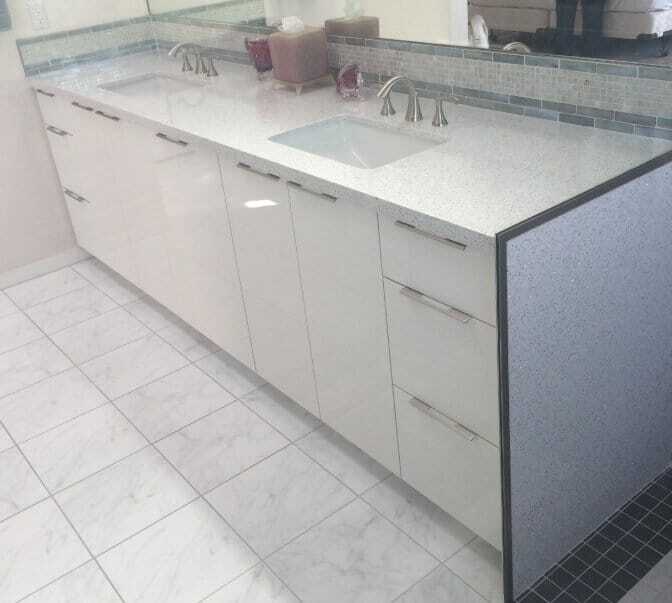 Whether your goal is replacing your bathroom cabinets or a full renovation, Stradlings is happy to manage the project and guide you through the process. To get started, call us today.